The state government on Thursday issued a new order which said that the national anthem and 'Vande Mataram' would be recited on the first working day of every month. "At 10:45 am on first working day of every month, police band will play the tunes that encourage patriotic feelings during their march from Shaurya Samarak to Vallabh Bhawan in Bhopal. On arrival at the Bhawan, National Anthem and Vande Mataram will be sung," it said. Assembly session, if the Congress-led state government does not restore the practice of reciting it at the secretariat. The song was not sung on Tuesday, the first working day of January, at the state secretariat following which the opposition BJP attacked CM Kamal Nath, seeking to know if it was done on his direction. Nath, however, said the discontinuation was temporary and the practice would be restored in a new form. 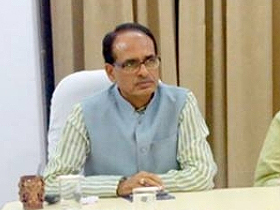 Singing of the national song in the 'Mantralaya' or secretariat on the first working day of every month had been the norm since the time of erstwhile Shivraj Singh Chouhan government of the BJP. 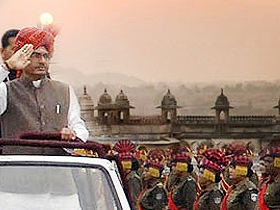 "If the Congress doesn't know the lyrics (words) of Vande Mataram or if they feel ashamed singing it, then let me know. I along with people will sing it on the first day of every month at the Vallabh Bhawan premises," he said in another tweet. Nath, however, said the practice of singing 'Vande Mataram' on the first working day of every month was being discontinued for the time being and that his government has decided to implement it in a new form (naya swaroop). "We have not taken this decision under any agenda nor are we opposed to singing 'Vande Mataram'. It is deeply rooted in our hearts and we have sung it from time-to-time. We will start it again but in a different form," Nath had said in a statement. Taking a swipe at the Congress government in Madhya Pradesh, BJP president Amit Shah said 'Vande Mataram' was not sung at the state secretariat just to please a 'particular community' and asked whether it was done on instructions from party president Rahul Gandhi. In a Facebook post, Shah alleged that Congress is making Madhya Pradesh, the 'heart of Hindustan', a centre of its 'appeasement' policy. "I want to ask Congress national president Rahul Gandhi whether the insult of 'Vande Mataram' is his decision. Rahul Gandhi should clear his stand before the people of country on the unfortunate decision by the Congress government," Shah said.